One of the speciality services that Kuzak’s Closet offers is relocation assistance and project management. One of my clients recently bought a new home and asked me to help her declutter and pack up her old house, manage the move, and unpack and organize all of the boxes at the new house. Prior to the move we scheduled weekly and eventually bi-weekly sessions (8 total) so we could go room by room to purge and pack. My client is very busy so I had her make decisions for 15-30 minutes during each session and I took care of the sorting and packing on my own. I was able to organize all of the boxes so it would be much easier to unpack and through the prep process I was able to become familiar with her preferences. Once moving day rolled around my assistant Matt helped me direct the movers, pack the last few boxes, and begin to unpack at the new house. The first room we began to unpack at the new house was the kitchen. 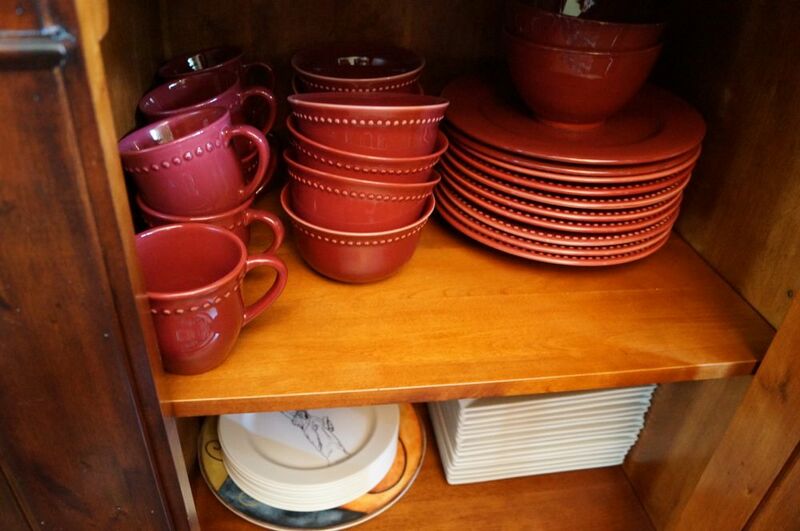 It is always my goal on moving day to have the kitchen unpacked and organized for every client I work with. The kitchen is the heart of the home and it is important to really strategize storage and get the layout right the first time. I always want my clients to be able to make a cup of coffee the morning after the move so I try to find the coffee pot first. 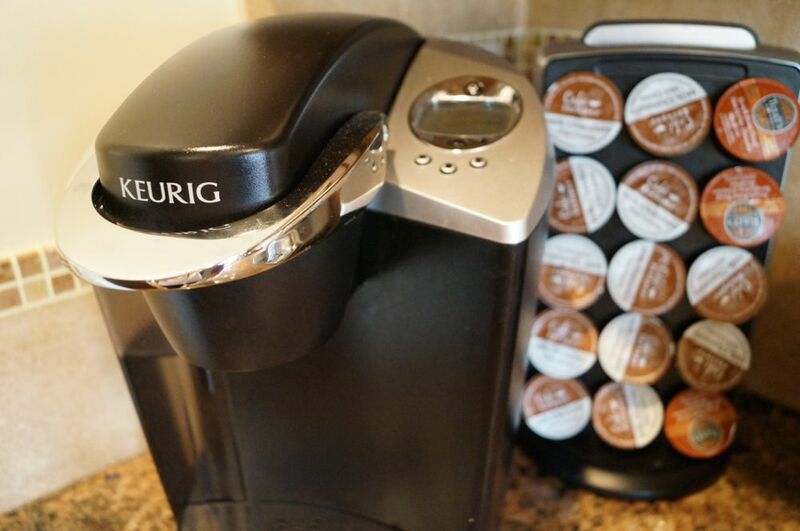 Once the location of the coffee pot is determined I can start to figure out where it makes the most sense to store the coffee and the cups. You want to make sure it is close to a water source and the dishwasher. 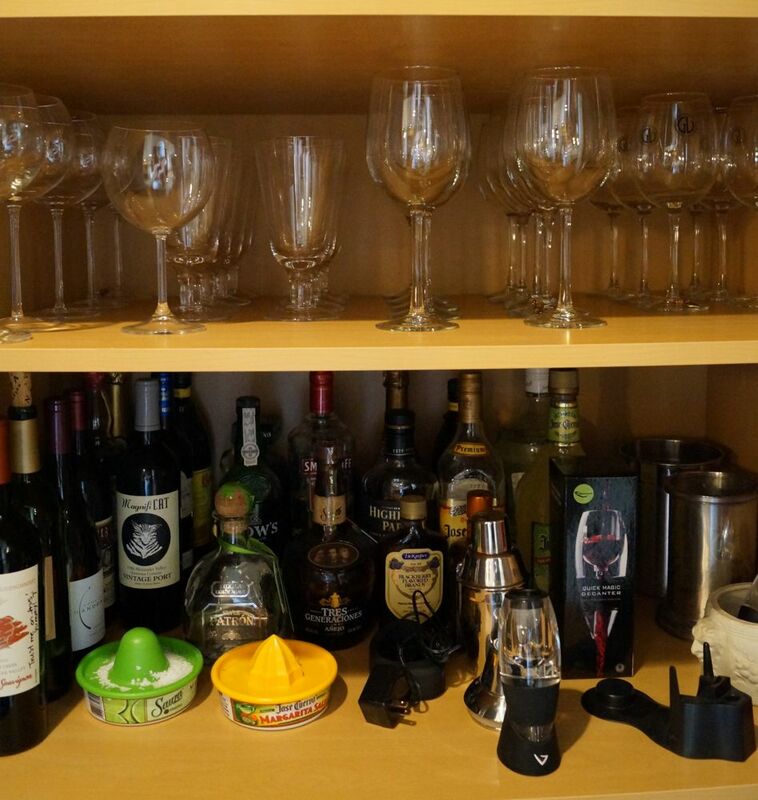 We unpacked all of the dishes in the kitchen and the dining room, set up an entertainment center with cocktail supplies, and I created a layout in the pantry that they could easily fill in when they stocked up on groceries. 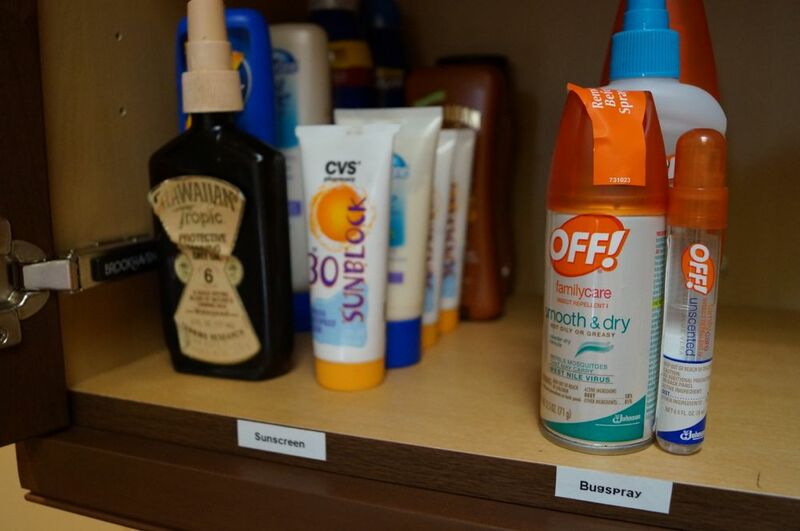 I created zones in the pantry for all of the food categories on the top and found a spot for paper products, small appliances, and entertaining supplies n the bottom. After moving day I had the kitchen and pantry settled in and I came back for two more long sessions to tackle the closets, the laundry room, and the family room. 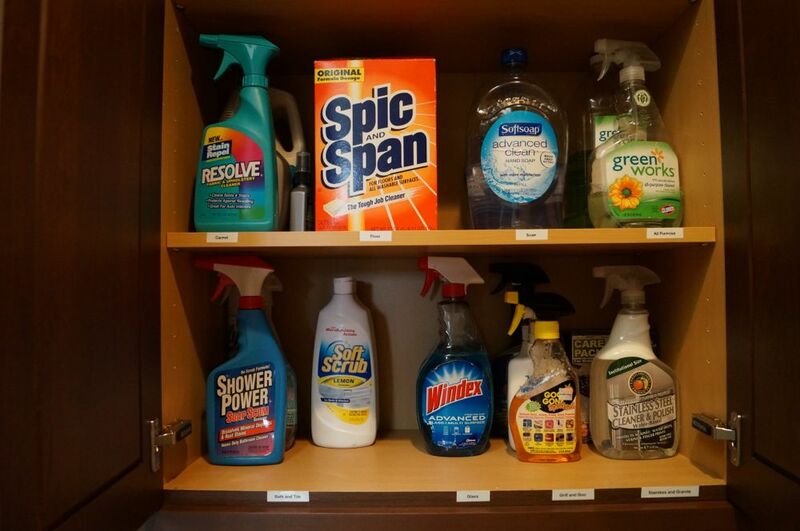 The laundry room had wonderful storage and I chose to store the cleaning and laundry supplies in the upper cabinets at eye level. I wanted my client and her cleaning company to be able to keep an easy inventory of the supplies so shopping would be a cinch. 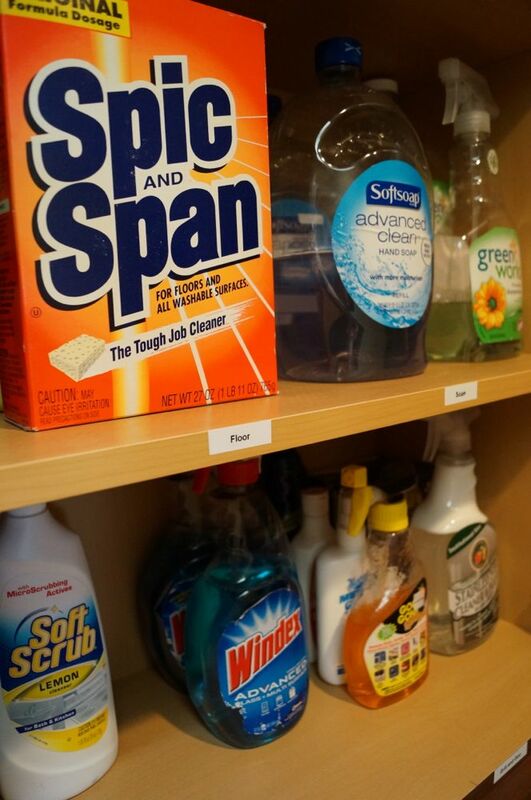 Nothing makes me happier than cleaning supplies all in one place! 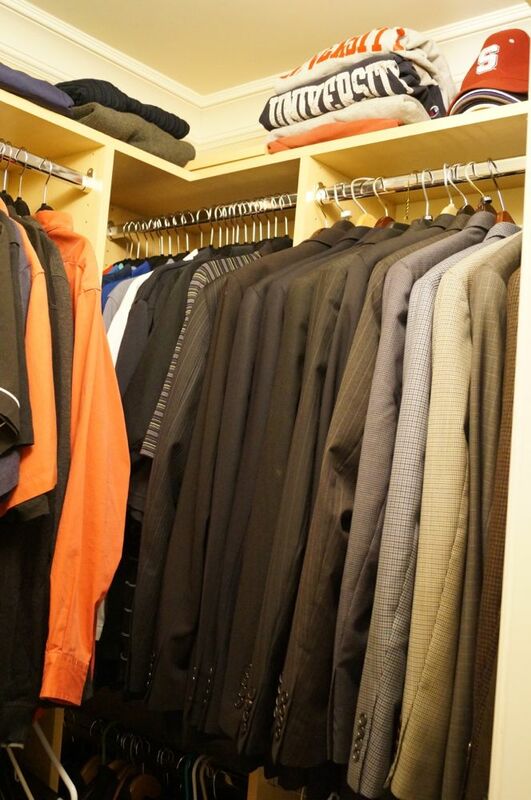 Matt helped me with the closets so we were able to speed through them. He used to work at Nordstrom in college so he is an excellent folder. 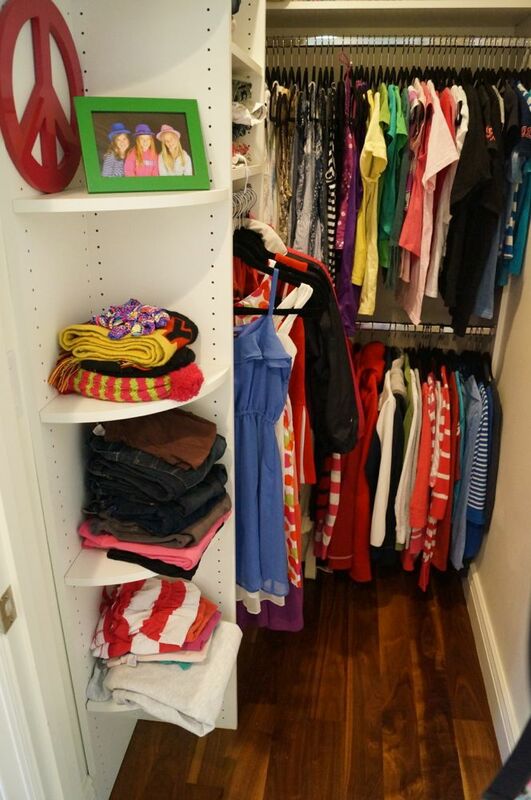 I love organizing closets and I followed my rules about keeping like items together, facing the same direction, and by color. I will need to go back before the holidays to help with another seasonal purge. 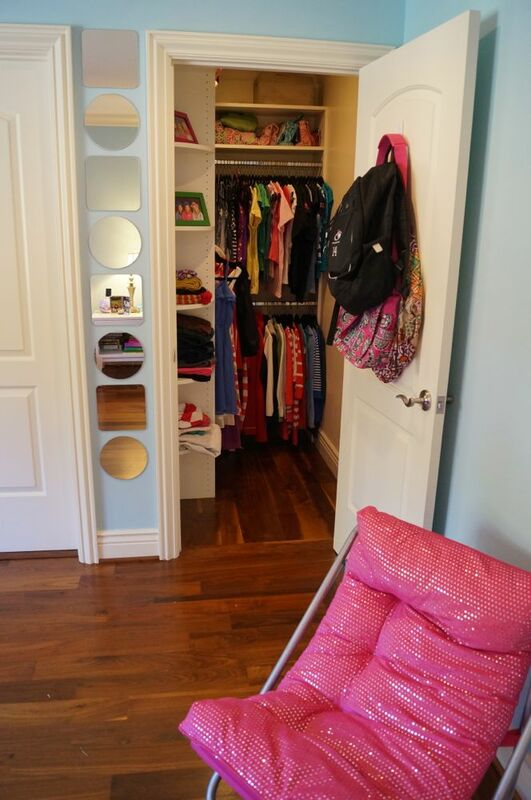 My client’s daughter wanted to unpack her own room but after she saw how I organized the master closets she asked if I could tackle hers too. Having the chance to unpack, set up and organize a teen bedroom gave me flashbacks to my own childhood spent rearranging my own room. I didn’t have a chance to see her reaction to the space but I bet was grinning from ear to ear. 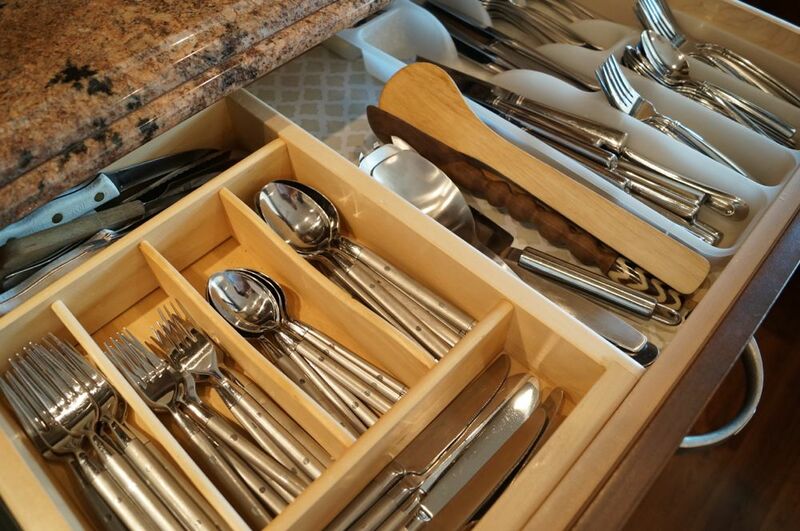 My client moved on Monday and she already has all of these spaces nicely organized and unpacked, how great is that? 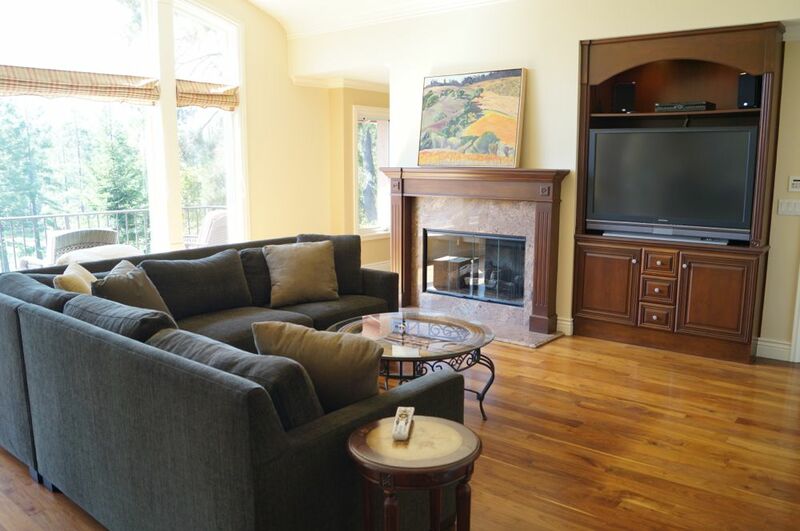 I hope she can relax and enjoy her new family room and the gorgeous view this weekend! I will be going back to tackle the garage, the home office, and the formal living room in the next few weeks. 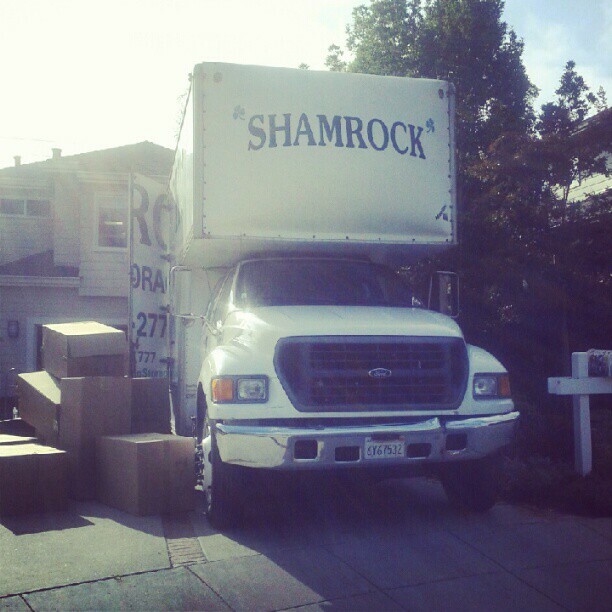 My client has used Shamrock Movers in the past so she scheduled them to handle their move. I was a little nervous because I had never worked with them but in the end I was pleasantly surprised. They moved SO FAST and had the entire house (3,000 square feet) packed up in 3 hours and then unloaded at the new house in 4pm. 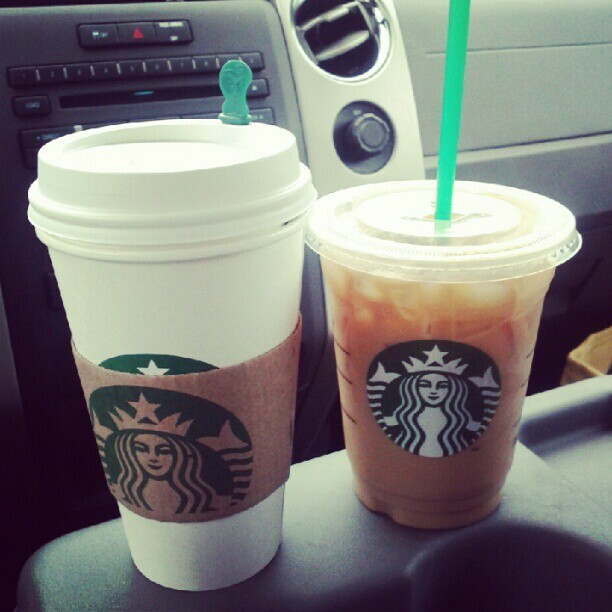 I couldn’t have gotten as much done without my assistant and my caffeine! Thanks Matt and Starbucks! If you or someone you know is moving you might want to consider hiring a professional organizer to help you with the process! Please contact me and I can come out for a free consultation or refer to to one of my peers to who help you. I love your job. LOL. I think it is amazing that someone would pay to have another person organize his or her life and belongings. I am sure you must have a lot of good references and such in order for someone to trust you like that…how did you get started? could you do a post on your journey, pretty please?? Your moving tips are great! Last time I moved we just set everything in the garage and worked on taking one box out and unpacking at a time. It took 2 years to unpack that garage and a long time before I felt at home in our new house! A professional organizer would have been great back then. bby accident (stumbleupon). I’ve book marked it for later! 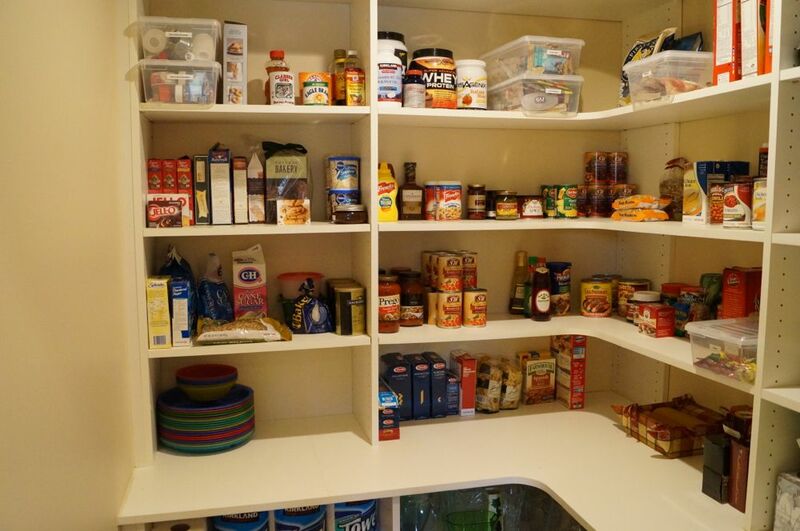 Is there a plan to build the she ing in the pantry? If so where could I find it! This shelving was custom from the builder. I would show a pic to a handyman or closet company and they could come up with something similar. I really what you did with the pantry. Can you provide me with the depth measurements for the various shelves? 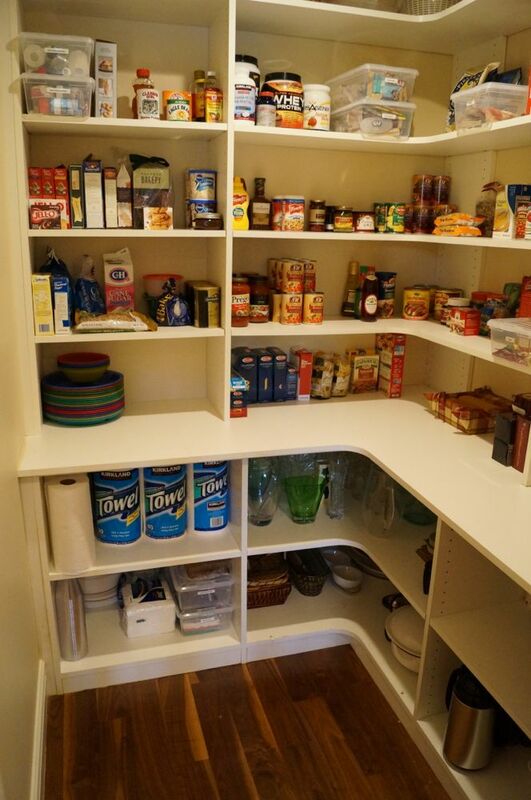 I’m wanting to something similar to this and it would be helpful to know the shelf depths are for electricals (small appliances), cooking pots, and versus food boxes and containers. Hey Mary! Unfortunately I don’t have the measurements for this space and I’ve actually moved this client since this post so I won’t be back to this house to get the details for you. 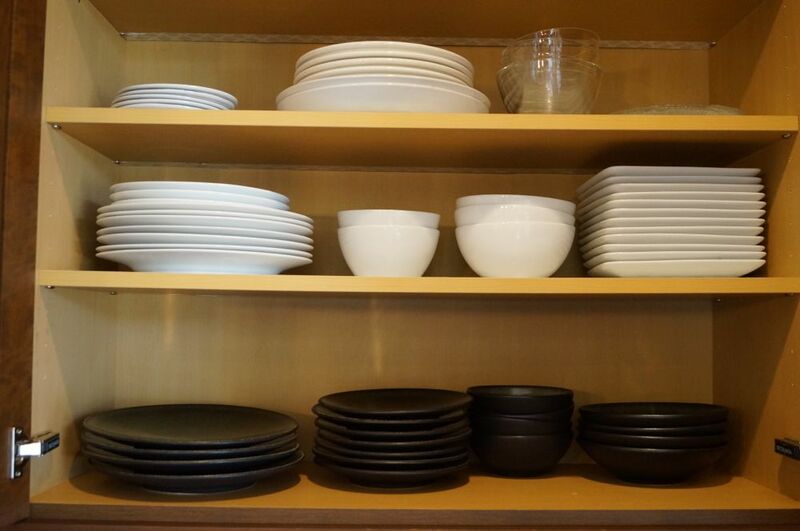 In most pantries we do a 14-20 inches shelf. 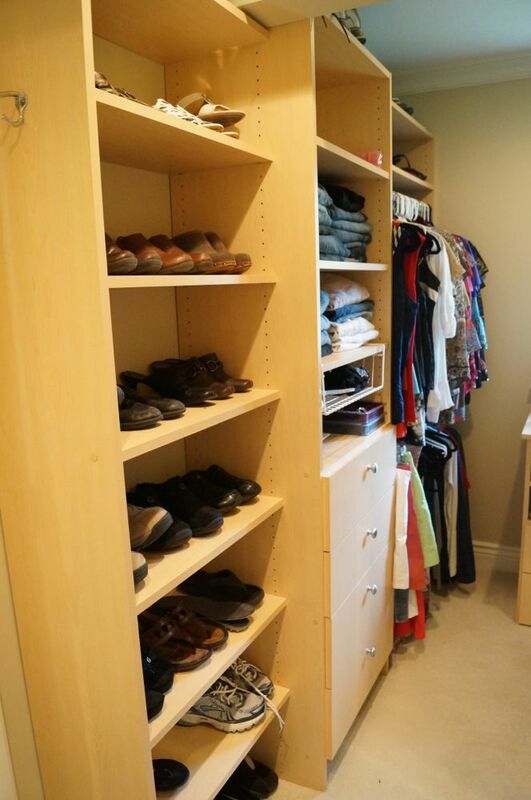 If you can design the space and make it work for you, measure what you need to store and design the space around it. Thank you for your reply. I was just wondering.